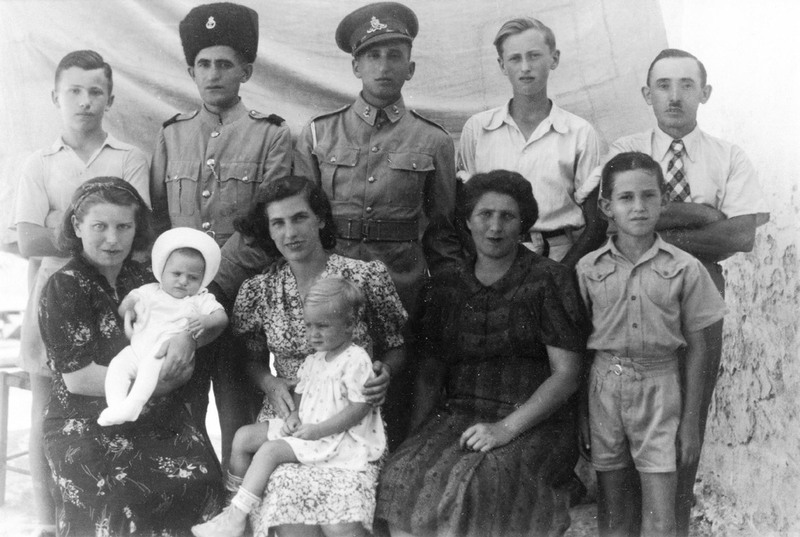 When the First World War broke out in 1914, Jewish life changed in the region. On one day Russian troops would be advancing and on another it would be the Austro-Hungarian Army. My family then fled in 1916. My grandfather died of the Spanish flu in 1918, one year after their arrival in Vienna. My grandmother tried to maintain a traditional household after grandfather’s death. She tried to keep dairy and meat products separate, even though that wasn’t easy, as she needed to use separate dishes and cutlery. My grandmother remained alone after grandfather’s death, even though she wasn’t old when he died. In order to feed her children, my grandmother sewed entrails for sausages on a sewing machine. Plastic wasn’t around yet. The final days in Vienna were very menacing. Many Jews had things taken from them – but not us, since we didn’t have anything to take. My grandmother was supposed to go the USA. That didn’t work out. Looking back on it, if we had properly understood the situation, more could have been done to help grandmother. We didn’t know anything about my grandmother who had stayed in Vienna. We only learned about her fate after the war. She was thrown out of the apartment where she had spent 20 years of her life. 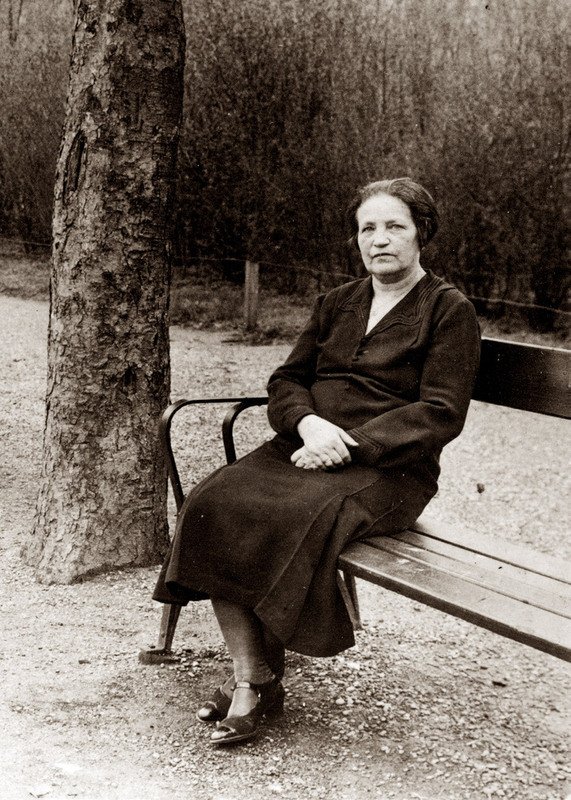 Then she lived in one of those collective apartments in Vienna’s 2nd district and from there she was deported, first to Theresienstadt and then to Treblinka, where she was murdered. At home, my family spoke German with Yiddish expressions. But German language and culture definitely stood in the foreground. As a result, they didn’t have any great difficulties when they moved to Vienna later. My father was a calm person, but he was a gambler. He spent little time at home or with his family. In 1936 my mother got divorced from him, and bit by bit we lost contact. My mother always had a large group of friends. Max Back and his sisters were good friends. His sisters would look after me whenever my mother went out with Max. Slowly he took on the role of my father. I thus had a very sheltered life, despite my parents’ divorce. 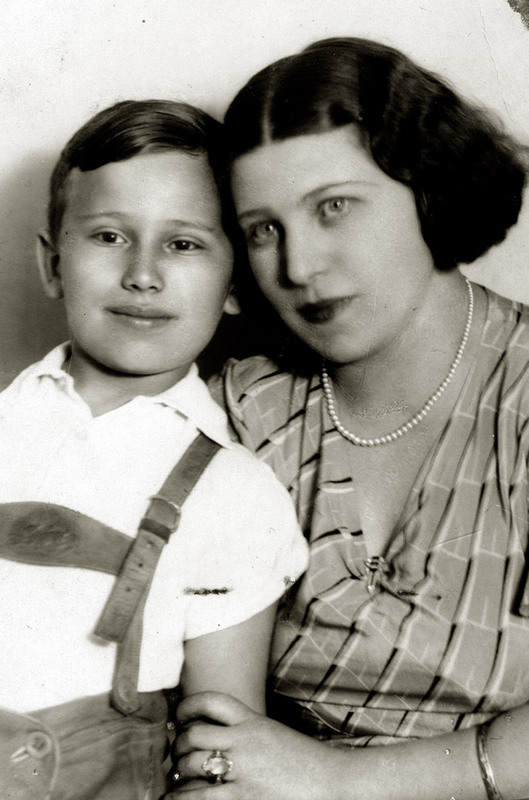 I was ten years old when I started attending the Unterberger High School in the 20th district. There were a lot of Jewish students in my class. On March 12th, 1938 I saw airplanes black out the sky, a whole host of airplanes, real squadrons. You began seeing people in uniform and boys in Hitler Youth shirts walking around. New teachers arrived to school. Among them was a Sudeten-German, a Nazi, who didn’t hide his ideology and immediately hung up the new maps. But there were also other teachers! We, the Jewish students, were separated from the remaining students and had to go to so-called “Israelite Classes.” At first there were these “Israelite Classes,” “Jew Schools.” The Jewish students were concentrated in very few schools. I went to one of those schools for a time. I didn’t learn anything there, since we could only think about getting away. 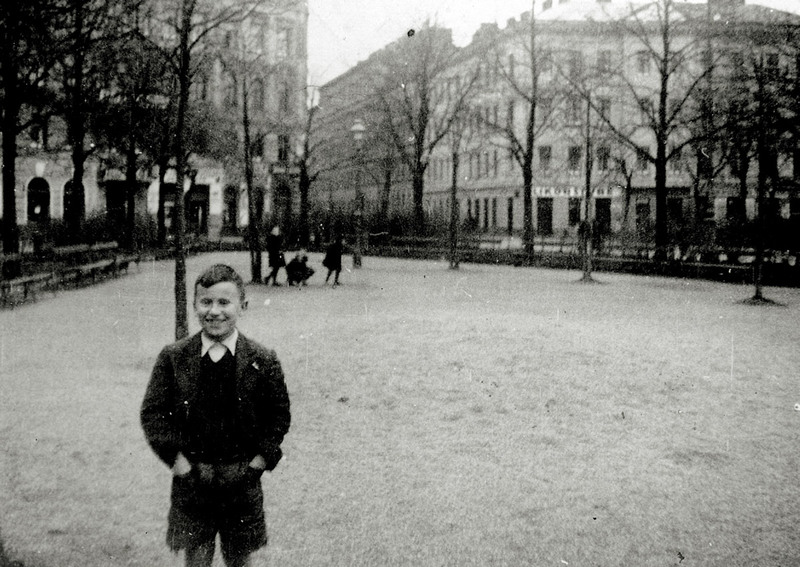 After my father moved out of the apartment, my mother and I moved in with my grandmother on Perinetgasse. Besides my grandmother, three of my mother’s siblings lived in the small apartment. My grandmother was the center of the family. Her apartment became a sort of family news center. You began hearing of people being kicked, or attacked, or that someone was taken away. But people were still deluding themselves. They knew they couldn’t stay and were only hearing things like, “so and so was arrested and so and so was beaten,” and you heard the word “concentration camp.” We needed a certificate for Palestine, and if you wanted to go to America, you didn’t need a visa but an affidavit instead. 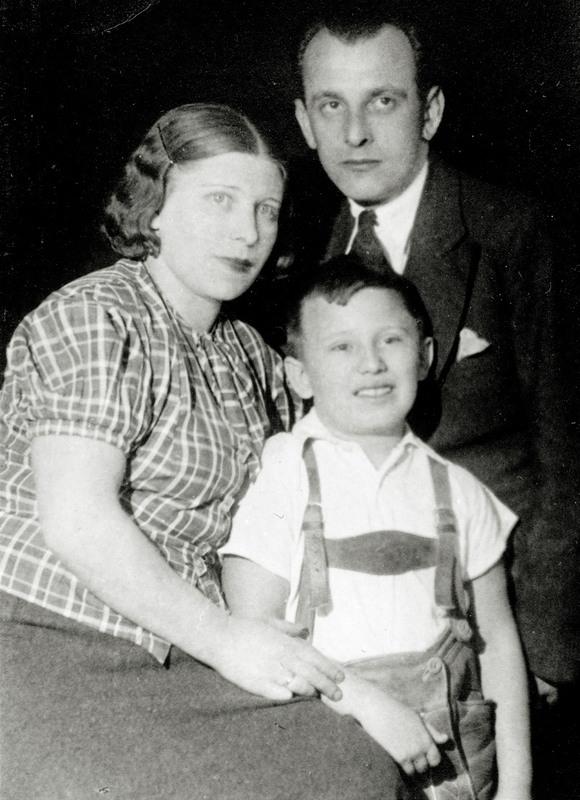 On June 27th, 1938, my mother married Max Back in the rabbinate on Seitenstettengasse. A while later – because of Max’s work for the Jewish Community – we received certificates of entry for Palestine. In March 1939 we could leave once and for all. The final days in Vienna were very menacing. Many Jews had things taken from them – but not us, since we didn’t have anything to take. After our arrival in Haifa we rode on trucks to a camp for newly arrived immigrants in Machaneh Olim. Since my parents didn’t know how things would progress, I was brought to live for a few months with farmers in a moshav, which is a combination of normal village and kibbutz. A lot of people got work with the British Military. Later I was also working for the military. My father got work as a tailor with the British naval installation, as he was a trained tailor. We moved into another apartment in a suburb of Haifa called Neve Sha’anan. I went to an elementary school until I was fifteen – I had to first learn the language. After school I worked for some time for an electrician, a Yekke. I worked for some years in the British Army in an automobile workshop. That later became my career. I can’t remember if we spoke about going back to Austria. People might have talked about how life in Vienna was, that they went to the Prater, or who they got together with. Those were anecdotes. There was already a state within a state with Jewish institutions – they called it “medina baderech,” which, when translated, means “a state becoming.” But people wanted a completely autonomous Jewish state. By the time the state of Israel was founded I was already with the ghost army, as we were already mobilized and organized even before there was a state and army. In 1948 we were already in the middle of war. The Arab population was not too delighted, but they had a lot of trouble getting themselves organized. After military service, I began working in a bookstore in Haifa. They sold, among other things, Soviet literature, an area that had always interested me. Between 1963 and 1966 I spent a total of a year and half in the GDR [German Democratic Republic – East Germany] and met my wife in Berlin. Back then I was sent by the Israeli Communist Party. My wife Jutta and I were married in East Berlin. Then we had to wait a year until she could come with me to Israel. Jutta came to Israel in 1967 as the Six-Day War had just come to an end. We settled in, she met the relatives, integrated herself, learned the language. In 1975 we had the opportunity to leave Israel, since I had the chance to get work through contact with a bookstore in Vienna. It wasn’t easy for us. I was able to live well without Austrian citizenship for five years, and then did receive citizenship in 1980. My son, Robert, was born July 8th, 1977 in Vienna. I have never regretted going to Vienna. My wife and I kept our apartment in Haifa for a long time and went back to Israel once a year. Though I am very critical of the developments in the country, Israel will always remain my homeland.